The Peace of mind in knowing that your pet will be cared for after your death. 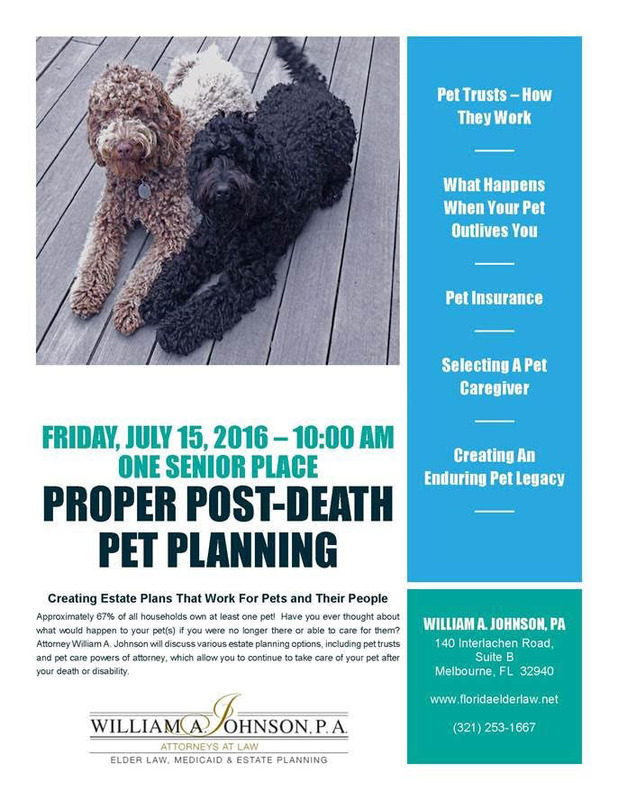 See our events page for directions to this event being held Friday, July 15 at One Senior Place. What happens when your pet outlives you?